In 1867, Bolivia had its first bill and this is the true story that few know. The history of Bolivian, as it is known today, in the form of bills and coins, began in 1867, 42 years after the founding of the country as a Republic. The first banknote was presented on January 24, 1867, backed by a supreme decree of General Mariano Melgarejo authorizing the creation of the first private bank in Bolivia. On what date did the first mintage of the banknotes came out? The first coin minting in the republic of Bolivia dates from 1825, after the creation of the Republic of Bolivar. 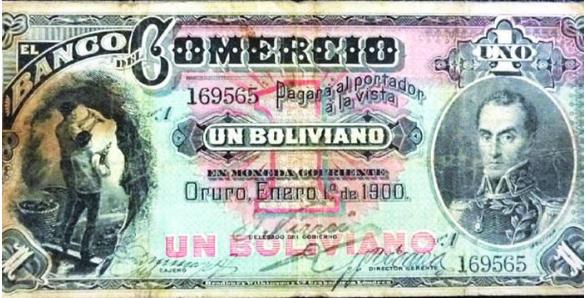 Until then, the currency of legal tender in Bolivia was of Spanish origin. The current currency of our country, the Bolivian, is created by law 901 of November 28, 1986 as a unit of the monetary system and its circulation is arranged as of January 1, 1987.
Who made the first impression of banknotes? The National Company of Bills of New York, was in charge of the printing of the banknotes, in cuts of one, five, 10, 20, 50 and 100 strong pesos. This bank had permission to issue for a period of 15 years. However, these tickets are currently very difficult to find and are prized collectibles. What were the first coins of the Republic? Since the founding of the Republic different monetary reforms were integrated, nevertheless the monetary system of the colony continued until 1863. 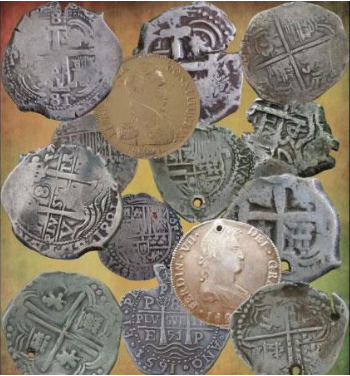 After this, the coin of 8 reales continued circulating and the first coin of the Republic of Bolivia had the effigy of the Spanish monarch, Fernando VII. When did the First Family of banknotes appeared in Bolivia? 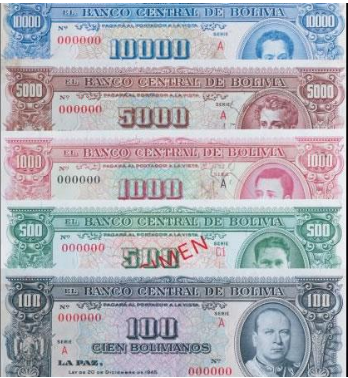 In 1928 the decree creating the Central Bank of Bolivia ordered the printing of the first family of banknotes issued by the Issuing Entity, with increasing sizes according to the cut: of 1, 5, 10, 20, 50, 100, 500 and 1,000 Bolivians. 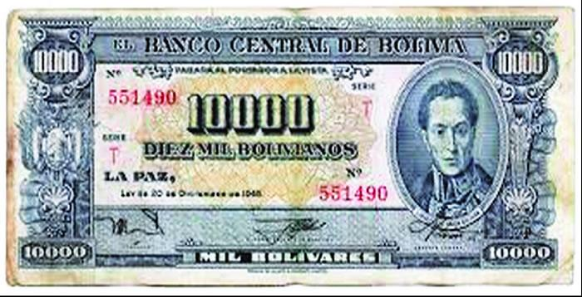 However, in the 1930s, the Central Bank of Bolivia decided to change the design of its banknotes, reducing their size, but maintaining the same colors as the previous ones, avoiding confusion in the public. What did the first cuts have? In the major cuts, an image of the city of La Paz was shown in the center with the railroad station in the front and the snowy Illimani in the background. On the right, you could see the effigy of the Liberator Simón Bolívar wearing a military coat. The reverse remained the same as the other notes in this issue. Where are the banknotes printed today? Although many know the answer, the Central Bank of Bolivia is the only entity authorized by law to issue Bolivian notes and coins. The tickets are printed by private companies that the BCB contracts abroad. These are manufactured in the country of residence of the company that is awarded the international public tender. In what material are our banknotes printed? 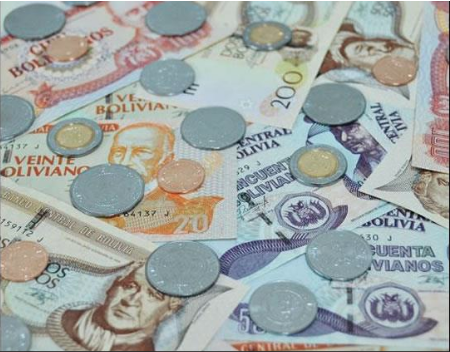 The family of Bolivian banknotes are printed on 100% cotton security paper, due to its characteristics, this substrate has greater durability to common paper and better printing properties for the required security inks, this is why the banknotes are not soaked in water like normal paper. The banknote cuts are considered the image of the country towards the world, that is why historical characters, architectural sites, landscapes and symbols that represent the country and are printed on the current banknotes and circulation coins, appear on the design process. And did you know some of this data? This entry was posted in Bolivia, Business, Economics and tagged BCB, Bolivian heritage, role of a Central Bank. Bookmark the permalink.